Laurie Here - Contemporary Fiction and MORE - Book Reviews: ROMANCE IS IN THE AIR #Giveaway Blog Hop! NOW to Feb 14th, 2014! 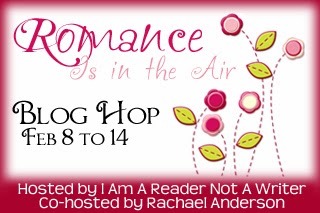 ROMANCE IS IN THE AIR #Giveaway Blog Hop! NOW to Feb 14th, 2014! Thanks to our Hosts, I Am A Reader, Not A Writer and Author Rachael Anderson! Thanks! It's that time of year again! LOVE! St Valentine's Day! This Blog Hop runs from the 8th, today, until the 14th, Valentine's Day, so with that in mind, I MUST give away a LOVE STORY/ROMANCE! 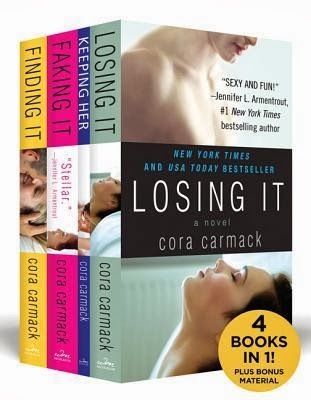 "1" EBOOK boxed set of 4 books, the Losing It series by @CoraCarmack! This boxed set includes 4 books! HOW TO ENTER? FILL OUT THIS FORM! Before you go HOPPING to all the other blogs listed below, look up at the top of this blog in the LEFT side column for 2 other Giveaways you can enter! One is for a Kindle Fire HDX or $229 Amazon GC or $229 PayPal CASH which ends on Feb 9th, so HURRY and enter! The 2nd is for a $50 Amazon GC for the NEW book by Becca Fisher, Amish Wedding till Feb 28th! ***Here is the list of ALL the other blogs in this HOP you can hop to and enter their hops as well! Have fun and good luck! Hope you LOVE the books! I did!! !